Why is Facebook Called Facebook? Facebook is one of those companies that needs little introduction. Odds are, if you’re not a user, you’ve seen the movie or at least heard of the network. If you haven’t, I don’t know why or how you arrived at this post. Regardless, Facebook is commonly known as the most widely used social network in the world. According to CNN Money, the platform maintains 1.4 billion daily users, which translates to $13 billion in quarterly sales. Yes, billion. For both. But it didn’t get there overnight. It has been 14 years since Mark Zuckerberg founded Facebook along with Andrew McCollum, Chris Hughes, Dustin Moskovitz and Eduardo Saverin. And it has faced its share of controversy since then. Why is it called Facebook? Here’s what we know for sure: While studying at Harvard, Zuckerberg built an online version of the school’s dorm directory. The university called these student catalogues Face Books, because they were literally books of the faces you might see around campus. 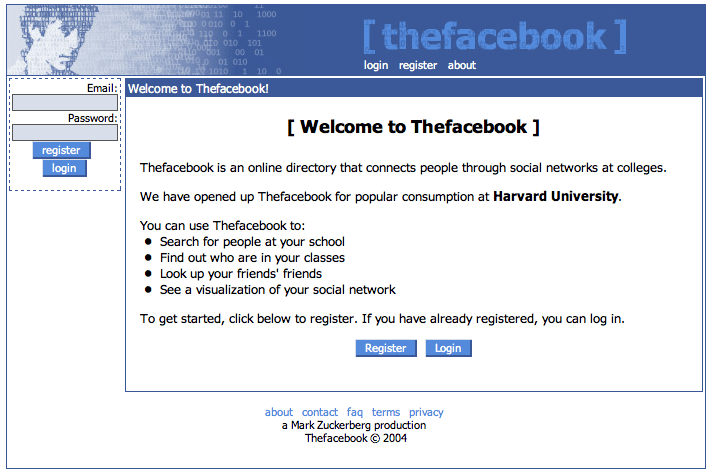 The Face Books would eventually serve as the inspiration for a campus-wide social network. But first Zuckerberg built a series of short-lived social platforms. He started with Coursematch, a website that showed which students were enrolling in which classes. Eventually it caved under demand, and Zuckerberg moved on. Instead he built a now infamous platform called FaceMash, which encouraged students to rank the attractiveness of their peers online. SEE ALSO: Why is Instagram called Instagram? Cue the controversy. Despite attracting record users in just hours, Harvard shut down FaceMash within days. And instead Zuckerberg used what he learned (plus ideas from other students, allegedly) to create The Facebook at www.thefacebook.com. This version of his network would enable Harvard students to connect with one another online, serving as an extension of the printed dorm directories. The first version was only open to Harvard students. Still, the site acquired 1,200 signups in its first 24 hours. So they moved to Silicon Valley, pitched investors and hired a president. In this case, the president was Sean Parker, of Napster fame. After acquiring more than a million users, the company took on a crucial rebrand. 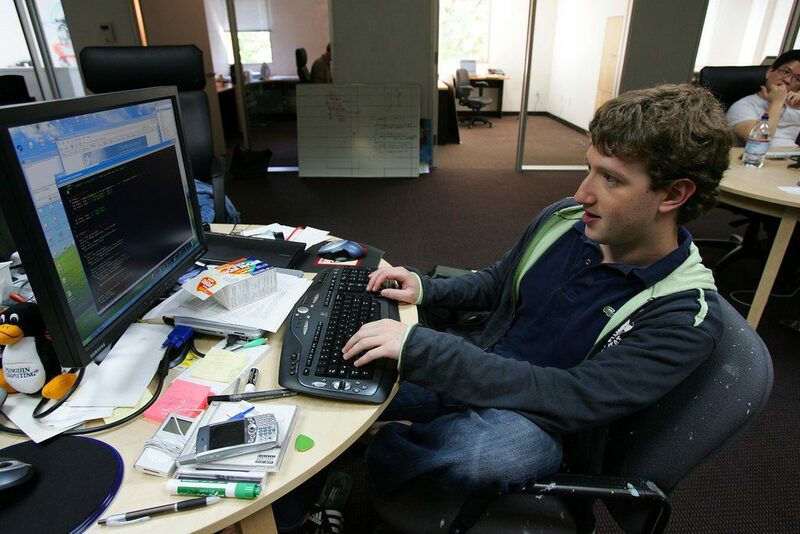 In August 2005, just 18 months after launch, Zuckerberg and co acquired www.facebook.com for $200,000. Though rumors that removing ‘The’ from ‘The Facebook’ was done at the urging of Parker, some suggest it was simply the plan all along; the founders just needed the capital to buy the domain first. Whatever the reason, the brand took off. By the next year, anyone over 13-years-old could register using a valid email address—no Harvard degree necessary. And while it’s unclear whether Harvard still prints Face Books, it may not matter. With more than a quarter of the world’s population on Facebook, you can connect with practically anyone, anywhere.